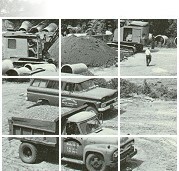 Prillaman & Pace has been fulfilling the needs of owners, architects, and contractors since 1954. 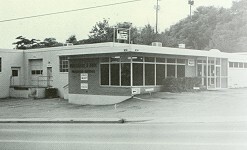 As we near our 56th year, we will continue the same Tradition of Excellence that our customers have learned to expect. Prillaman & Pace, Inc., one of Virginia's leading mechanical and utilities contractors, has been fulfilling the needs of owners, architects, and contractors since 1954. The company was founded by Richard A. Prillaman, Edwin E. Pace, and Harry A. Prillaman as a partnership in 1954 and incorporated in the State of Virginia, January 1, 1960. Under the guidance of the Messrs. Prillaman & Mr. Pace, the company has grown from modest residential and commercial mechanical installations and repair work to multi-million dollar installations both as general and sub-contractors. During the years, Prillaman & Pace has grown from three mechanics up to 250 employees at one time. These mechanics are skilled in all of the mechanical trades; other than electrical, from plumbing to heating and air conditioning to ducting; from boiler to process piping; from fabrication to erecting; from pipe to plate; from ditch to pipeline construction. If it is required or specified, it can and has been done. As we enter the new Millenium, Prillaman & Pace will strive to continue the same Tradition of Excellence that we've demonstrated for over 60 years.